Please place your completed character description in this thread with the following points noted. Personality: Cool, calm and collected, he exudes a comfortable power that one cannot ignore as well as a commanding presence one cannot brush aside. Personality: Refined, elegant and cunning, it is clear why she has become a high powered woman within a 'mans world'. Her voice is soft but her words are almost always cutting and direct to the point, regardless of the feelings which may be hurt along the way. Personality: Affable and gentle, she comes across as anyone's mother, though there is something deeper beneath those eyes and a temper which, when pressed, makes it clear that initial assumptions are often misleading. Personality: Casual, laid back and lackadaisical, he moves with a rolling gait and a personable smile. Easy to approach, easy to talk to and one might get the idea he is merely the Primogen because no one else would do it, or worse, because he lost a bet. 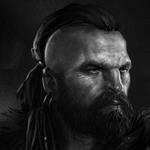 Personality: Intense, noble and a warrior, he moves with cat like grace despite his size and overcomes the stereotypical thug of the Brujah with more refined 'behaviours' than many within the clan these nights. His wrath is fearsome, but so is his passion for his clan and desire to seem them advance within the world and not merely cling to the bottom dwellers of society. Personality: Cool, calm and conniving, he instills discomfort in those who must deal with him, and not only because of what he truly appears as, but one always leaves a conversation with him knowing that somehow it is he that has come away with the greater details and information. Personality: With the occasional lilt of a Russian accent, he is a rouge and charmer to any and all within the Court and among the general population. He carries himself with a lithe power that one is unable to place their finger on just what commands such attention. Personality: Chaotic and random, from one moment he is a gentle spoken and friendly, the next his manic ramblings seem as chaos save to those to whom the words are meant. Personality: Dark and serious, there is a cunning edge to the Seneschal along with an aloofness which borders on mysterious. Personality: While Brujah, she is not the hotheaded, fire tempered kind, instead is a cold, simmering, icy 'fire' which rolls off of her in intense, chilling waves. Personality: An impish smile, elegant form and dangerous eyes, none of which are unexpected of a Malkavian. Mischa comes up with new rules occasionally within the Elysium which often keeps those attending on their toes. Personality: A touch archaic, his age shows in small mannerisms most cannot place directly. Elegant, suave and exquisitely Toreador, his honeyed lips hold many secrets and yours may be the next he is seeking out. Last edited by Kapera; 04-29-2018 at 03:04 PM. Appearance: Adina is generally dressed more stylish than the average Tremere, mostly in black and white, and adorns herself often with pearls from the old world. A heavy mop of dark curls frame her well shaped face. Her eyes are dark brown pools staring blankly out into the real world, which is clearly not as interesting as an academic or occult tome. Personality: She is reserved, bookish and clearly not well versed in casual conversation, prefering to spout obscure literary quotes or saying very little at all over open challenge or engaging with fellow kindred. While she does not say much she is often found mumbeling to herself in German or archaic Spanish, a habit she clearly picked up in dusty libraries. The downside of her demeanor is that she seem inflexible and gives the impression of being quite a cold fish, her erstwhile personality buried deep down, but on the positive she seems to not be easily emotionally shook. Appearance: Thomas is a rough figure. He's tall and well built, standing at 6' 3" and weighing 188 lbs. 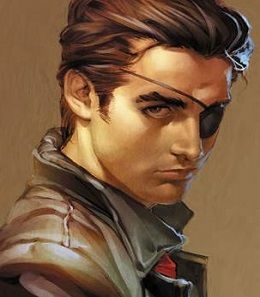 He has a handsome visage, with dark brown hair and a moss green eye, and a plain black eyepatch that covers where his left eye used to be. His typical attire isn't fancy at all. Plain t-shirts, an old leather bomber jacket, worn jeans (sometimes old military fatigues), and combat boots. Personality: Split in two. Most of the time, Thomas is timid, passive and a bit shy. His mind is stuck in the days when he was young, an artist who had adapted to bullying and a hard home life by shutting himself away and releasing it into his art. And then, there is the hidden old man, which carries most of his worst memories. This persona is dark and twisted, dismissive and others and a supreme survivor. While he isn't completely cruel or evil in this part of his split, he does tend closer to dominance here. And it is always this persona that flies into frenzies. Appearance: Rita is a lovely young woman of average height who appears to be in her early twenties, usually dressed in fashionable professional attire. Her brown hair and brown eyes, her pale skin with a hint of olive, and even the shape of her face are very Italian, not that she'd suggest anything else. When she dresses up she could easily be mistaken for a model with her graceful neck, slender figure and elegant posture, and she's done a bit of clothed modeling when one of the local artists she features at the gallery is really insistent. Personality: While Rita is always polite and has a smile for most everyone she's in contact with, there's a certain reservedness in her attitude; she's not timid exactly, just not the life of the party either. She's well spoken and usually has a good deal of information on any of the subjects in her wheelhaus (fine arts, local artists, business, international import/export), but lacks much to offer on most other topics and tends to just listen or nod politely. Since most of her interaction is usually at By the Sea, an art gallery featuring local artists, this doesn't hinder her too much. Actual Age: She is a white mousy-brown-haired woman. She is short, around 5' 2", and on the pear-shaped side. 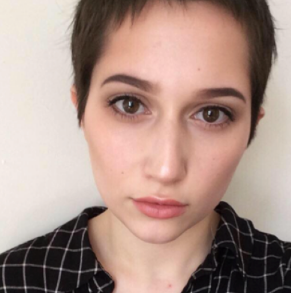 She has wide brown eyes and short hair worn permanently mussy. She is usually dressed in business-professional attire, with sensible slacks, flats, and a comfortable blazer. She is not unattractive, but she clearly puts little stock into her appearance. Personality: Leesa is a dynamo, and the stereotype of a type-A personality. She seems to constantly be in motion. When she talks, she paces. When she sits, she fidgets and her foot is permanently wiggling and tapping. She speaks emphatically and voluminously, with a cadence that pulls the listener in. Despite her slight build, with her constant motion and overabundant energy, she takes up more space in a room than you'd expect. She can be combative in disagreement, but she is effusive when she thinks that you're a comrade-in-arms (against whatever she happens to currently be up-in-arms about). Last edited by Wynamoinen; 04-07-2019 at 08:07 PM. Appearance: Alec certainly doesn't dress for fashion, nor to show off some form of status. If he is wearing something, it was chosen for either practicality or sheer personal preference. This is not to say he dresses in rags, or walks around filthy, as Alec does do his best to present a clean appearance. After all the somewhat worn and outdated leather overcoat often found adorning him falls into the latter category, something he picked up over forty years ago and only survives to this day because of prudent care and cleaning. His dark strands of hair are rather long, and often kept back and bound somewhere over his back if only to keep it from getting in his dark blue eyes when reading. Why he doesn't simply cut it is either a matter he can't be bothered to get around to or perhaps it is something that will remain a mystery. Personality: While Alec does possess and indeed often display the stereotypical bookish knowledge hoarding mind commonly found in his clan, it is more often than not his honest eagerness for that which he pursues, whatever that may happen to be on any single night, that sets him apart from his fellow kindred. It might not always be openly visible in his expression or body language, unless you happen to just be good at reading people, but it is there in some form or another regarding whichever task or hobby the warlock happens to be undertaking that particular evening. That said, when something unexpected interrupts his focus it can very easy for him to get annoyed at the cause behind it. This feeling could perhaps even lead to outbursts that common sense would normally prevent, such as against ones elders. Just an example, one randomly drawn from the hat, of course. PIG: Birch VERSES China, Fight! Me: ...my money is on Birch for the record. Last edited by Yuul; 06-17-2018 at 10:08 PM.